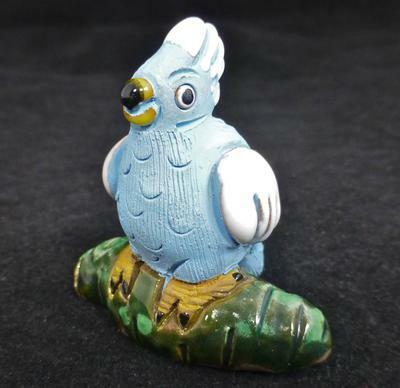 I have found an unusual little ceramic blue and white parrot like bird, sitting on a green branch. It is quite naive in its construction but very attractive. He has a huge personality for bird so small. 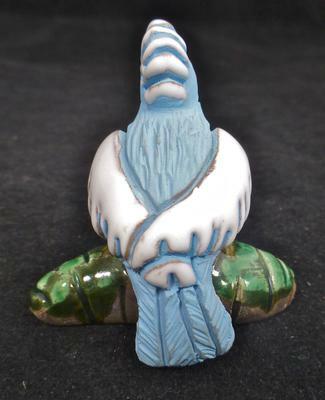 The bird has an interesting mix of powered blue unglazed areas while its wings and head crest are gloss glazed white. 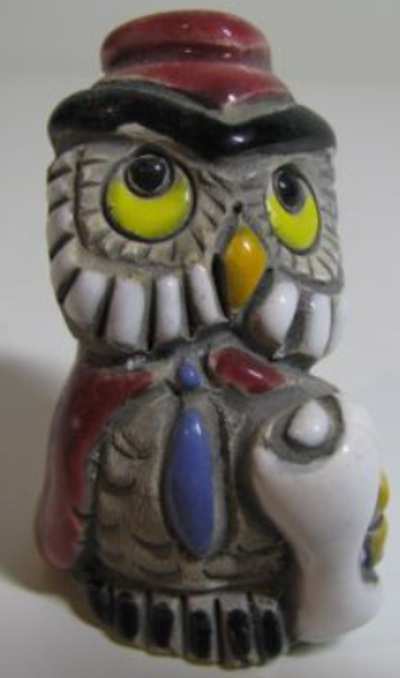 It has a ochre brown and black beak and unglazed ochre toes with black toe nails. I think it is stoneware. 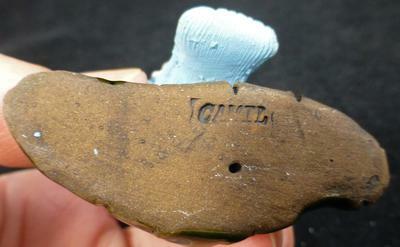 It has a clear incised back stamp saying "Camil", but I cannot find any reference to this back stamp and name online. I have tried all kinds of search terms but Google keeps trying to change Camil to Camel! There is a Pia Camil but they seem to make large contemporary ceramic sculptures. The bird is small measuring 6 cm (2 1/2 in) high, 6 cm (2 1/2 in) wide and 4 cm (1 1/2 in) deep. Can anyone help? 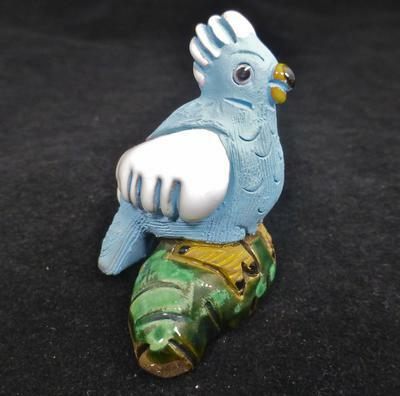 I have found a couple of items backstamped 'Camil' listed on eBay's American site. Neither listing has any information about the firm. Thank you Anne, you have helped me solve the mystery - Arts in Stone Holland by Camil & Maguz. How clever you are! I have done some epic advanced google searches for this firm's history, but there is nothing online apart from a handful of listings on eBay. Let's see what we can unearth.